The National Museum of the Morgan Horse: What's Happening? A visit to the National Museum of the Morgan Horse is a journey into an exciting chapter of the nation's history and a unique educational experience. The Museum tells the history of a truly American breed - The Morgan Horse - through chronological displays. The Museum's Main Hall contains changing special exhibits and there are free "Information Sheets", as well as general educational materials. A research library and archives are open for the serious researcher by appointment. Groups are welcome, and with advance notice, visitors will be guided through the Museum. 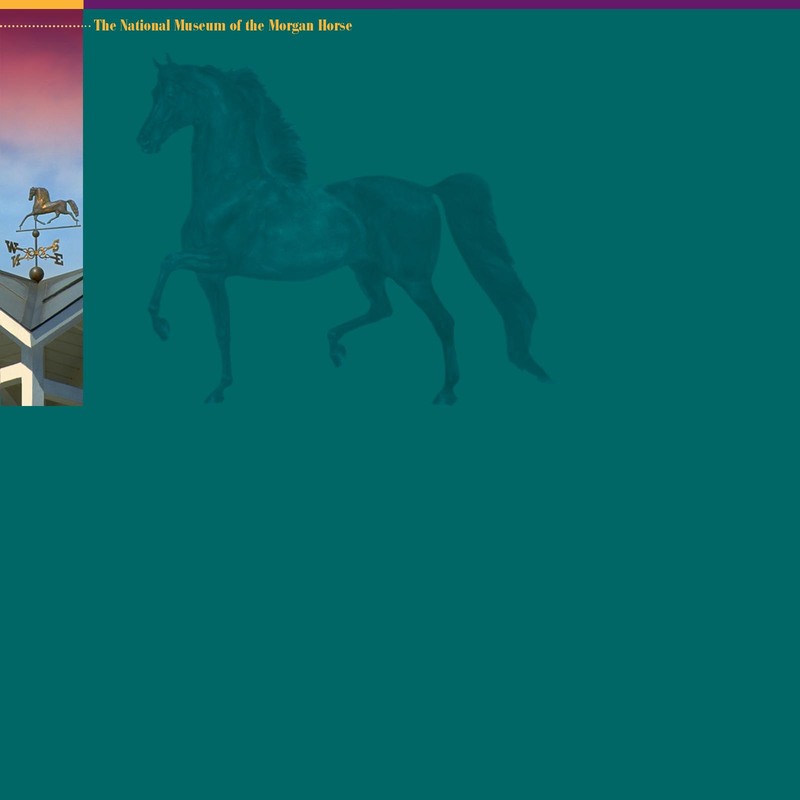 All contents of site ©2012 The National Museum of the Morgan Horse unless otherwise indicated.